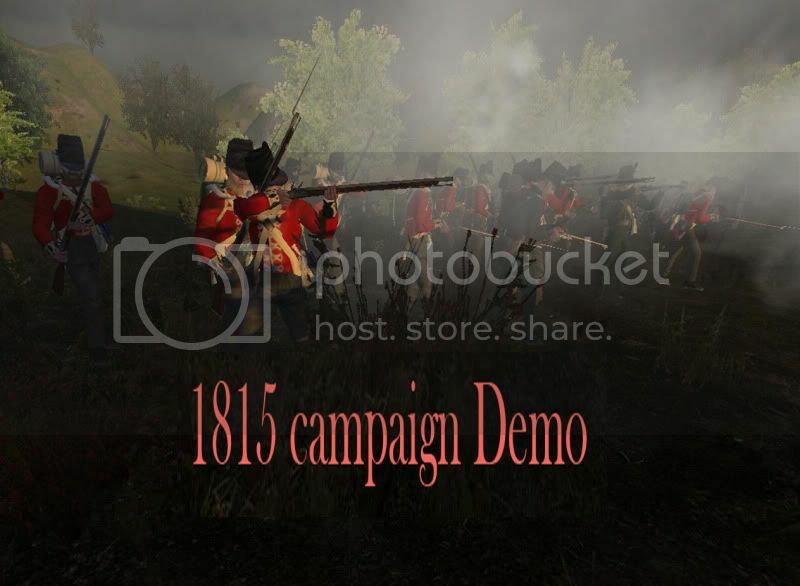 OK this is the first version of the 1812-1815 mod, it concentrates on the Waterloo campaign, this is still very much a work in progress and a lot of work is still needing to be done, there are now a lot more refinements than the first demo, its now based on the NMC or Native mod Compliation and many thanks to all that contributed to that. The map needs work, we know, the buildings and scenes for Hougoumont and la Haye Sainte are not yet included in this version, but will be worked on for the next. The factions now include Britain, France, Prussia, Brunswick, Hanover and the Dutch/Belgians. All uniforms, weapons, horses etc, are now available from the merchants in the towns, all of the medieval items have now been removed. If you'd like to work on the mod you are more than welcome to send me a PM at Taleworlds. Enjoy. cool i'll give it a go. No it won't be like mount and Musket and a full release may be a while yet. Although there will be a multi play aspect. ive been playing this mod and its ok. it feels like MM Battalion. Would be there cannons available? I hope that there will be cannons, there are cannon models, but getting them to work properly in game would be difficult. Once WFAS gets working artillery, I'll probably transfer the whole mod over to that. is this a patch or do i have to re download the mod? Its not a patch, just a minor update, the demo will get constant updates until a final V.1 release, the only major changes are the formations and volley fire, King 85 is working on the coding at the moment to get the NMC merged with this so another update will be on the way soon. Excellent work poomtangs, but don´t forget the Spanish Army, please (remember Bailén, the first time Napoleon was defeated in land). If you need help contact me. On July 22, the second observation corps surrendered and Andujar Convention is signed but will not be respected. Dupont and his generals will be transported by ship to Marseilles and Toulon. The rest of the French army, about 16,000 men, will first be sent to Cadiz and kept on pontoons (the remains of the buildings survived the Battle of Trafalgar, and not in superstructures). In February 1809, some will be transported to the island of Cabrera in the Balearics, the Canaries other. In 1810, the officers continue their captivity in England. A minority of soldiers survived until 1814, when they are finally released. Spanish army was below all, and especially without honor. 36,000 against 16,000 French Spanish with a chief of staff sick, what a great victory! And remember: the French Army was the best in this age. 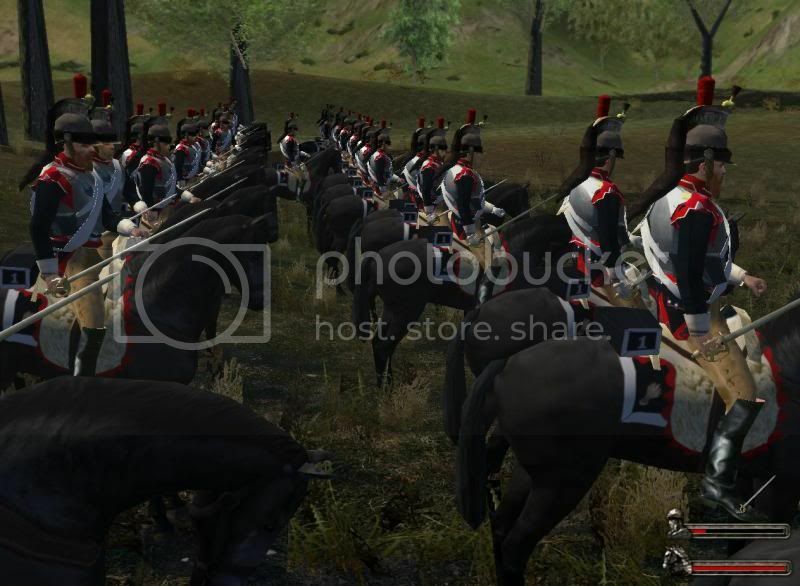 French army whithout Napoleon , and whithout chief is irretrievably lost. This mod when completed? Good look forward to...I like the mod of the guns, especially shotguns this mod..But it does not stand-alone game.I hope the authors can join the action and sound of the musket.This is really good.There is a cannon,,, hope of early.